Friends of Chamber Music will present five world-class ensembles as part of its 64th season in 2019-20, and we hope you’ll join us! Once again, the roster of artists in our series represent a diverse range of instrumentation, from traditional string quartet to wind quintet to brass quintent to percussion quartet. With a lineup like this, we are excited to further the presence of the arts in Stockton! Season ticket information will be announced shortly. Stay tuned! 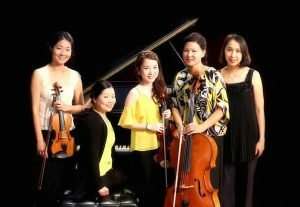 This Bay Area ensemble, led by Dr. Jean Ahn, bridges Korean history and culture and western classical music. Dr. Ahn also composes music for the ensemble. 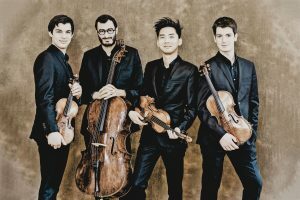 Established in 2013, the Paris-based Arod Quartet has taken First Prize at the Carl Nielsen Chamber Music Competition in Copenhagen in 2015 and at the FNAPEC European Competition (Paris) in 2014. In 2017, it was appointed “BBC New Generation Artist” for the 2017 to 2019 seasons, and ECHO Rising Star for the 2018-2019 season. 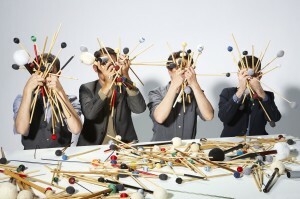 Third Coast Percussion is a Grammy-winning, artist-run quartet of classically-trained percussionists hailing from Chicago. 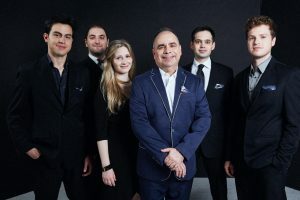 For over ten years, the ensemble has forged a unique path in the musical landscape with virtuosic, energetic performances that celebrate the extraordinary depth and breadth of musical possibilities in the world of percussion. 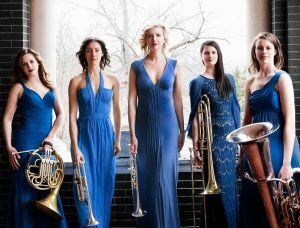 Seraph Brass is a brass ensemble composed of America’s top female brass players. Seraph Brass presents a diverse body of repertoire that includes original transcriptions, newly commissioned works, and well-known classics. Seraph studio album won a Silver Medal Global Music Award. Frisson Ensemble is nine musicians comprising brass and winds; we will be hearing a special performance by the group’s five woodwinds, directed by Thomas Gallant. From New York City, the ensemble features artists drawn from many of the nation’s major music schools including Juilliard, Curtis, and Yale. Frisson showcases a myriad of rarely-performed and traditional masterworks.